Honda 2Wheelers India launched the new CB300R in India on February 8, at an ex-showroom (pan-India) price of INR 2.41 lakh. At the launch, HMSI displayed the accessorised version of the CB300R that revealed the extras that will be available for the Neo Sports Cafe themed motorcycle. The optional accessories offer protection to the headlight, radiator and the engine and are aimed to provide protection when the motorcycle goes off the tarmac. The accessories seen on the CB300R give it a more rugged look and Honda most likely targets the Ladakh (or another destination that involves off-road riding) bound riders with them. For starters, the fascia gets a grille that offers protection to the LED headlamp. The black finish to the grill gives the retro-styled CB300R a really rugged look. The standard motorcycle does not get a protector for the radiator, but the accessory list features a grill that should protect the fins from the various elements. Do note that the KTM motorcycles come with a fibre protector for the radiator as standard that does a decent job. The stock engine cowl can be replaced for a more rugged metal bash plate via the accessories. The bash plate further enhances the off-road persona of the Honda CB300R and should offer a decent amount of protection to the engine. The handlebars get a silver finished bar-end weights that replace the black stock units on the accessorised motorcycle. Lastly, the rear gets a compact and cleaner look with the tail-tidy kit. The tail-tidy kit shortens the rear extension that holds the number plate and offers a sporty look to the motorcycle. Therefore, if you are planning to take this motorcycle, the optional accessories should help you protect the vital equipment on your CB300R such as the radiator, engine, and headlight. 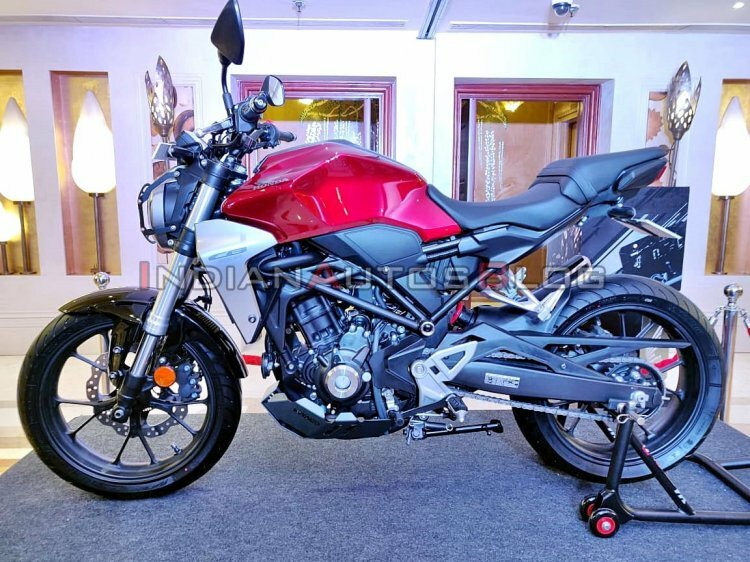 The Honda CB300R (INR 2.41 lakh) competes against the KTM 390 Duke (INR 2.44 lakh) and the BMW G 310 R (INR 2.99 lakh) in the Indian market. The pricing also brings it very close to the Royal Enfield Interceptor that retails for INR 2.50 lakh. The tail tidy kit gives the Honda CB300R a sportier appeal. The unit mounts the rear number plate right below the light. 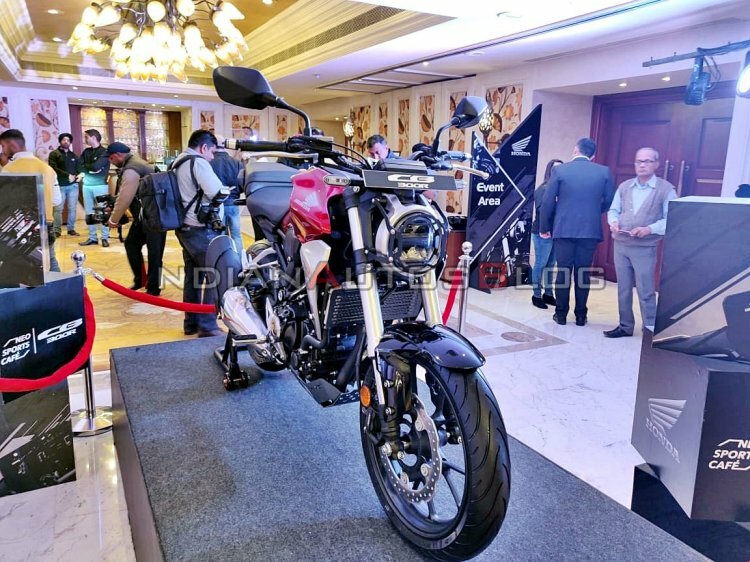 The CB300R has received a positive response since the bookings opened in January and Honda 2Wheelers India has announced that the motorcycle is sold out for three months.